It passed 30 years since the explosion. My friend had me quite goosy by his story. He told me about his trip to Chernobyl in May 2016 and shared some photoes for my post on Steemit. The famous cities which had to become symbols of future. Now they are only ghost towns. The roads in the zone are better than in the most cities in Ukraine. There are several entry check points at the entrance of the "exclusion zone" and also posters, which inform about danger ahead. Rubric "The giants of the Cold War." This radar helped to track ballistic missile launches from the USA. There were only 3 radars in the USSR. This is the last survivor. Its height - 140 m.
On the right - a new sarcophagus. It is planned to put this November. This date is symbolic: firstly, in 2016 there is the 30th anniversary of the accident; secondly, exactly an old sarcophagus (which according to legend must have been used just for 30 years) was completed in November 1986. The new sarcophagus is planned to push on to the building Chernobyl nuclear power plant. To do this, a special track was laid. I think it's the most famous view of photoes of Chernobyl nuclear power plant. The Monument to Chernobyl Liquidators. It was made by firemen & station workmen’s forces etc. In other words, by forces of ordinary people. The local dogs don’t meet the parameters of the game S.T.A.L.K.E.R. The channel at the station. Rubric "Equipment of the liquidators". It was applied particularly during the clearing contaminated zones. Even the USSR first tried to spare the people and use the robotic technology. However, it broke down or simply didn't cope with the task. Then Command decided that the most reliable - the Soviet soldiers. Thus "biorobots"came into being. The central square of Pripyat. How quickly Nature recaptures its back. The grand stand of the stadium was to seat almost the entire population of the city. A grocery store of once thriving village. Although there are empty shelves as well as in days of the USSR. You must pass the dosimetric control at the zone entrance and the entrance to the canteen. Pripyat is the city where the authorities so effectively decided landscaping problem. The fact that the original project of the city didn’t have parks and planting spaces. In the early '80s, it was decided to carry out cleaning days and massively plant trees. Also following the example of Donetsk people began to plant rose bushes. By the time of the accident it was about 30 thousand rose bushes on 50 thousand residents . And today those trees, that were planted at cleaning days, grow very quietly. In this house people lived until recently. These are the "squatters" who came back to their villages after a while after the accident. By the way, radiation sank by "spots" on the zone. When the dust from the reactor was flying around, some of the particles sank in different places. 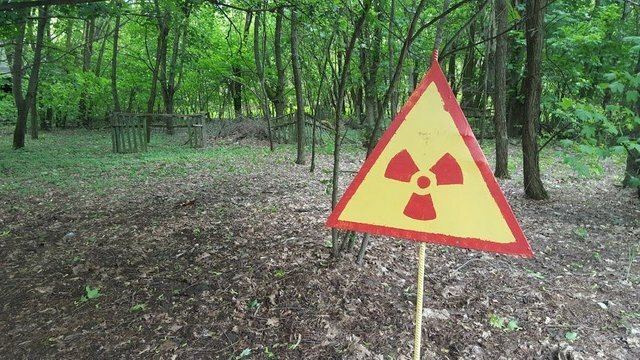 As a result, there were places where the radiation level might be about 1000 micro-roentgen, while in a meter the radiation level was 30-40 mR what is the norm for Ukraine. If you appreciate my work, give your upvote here. Thank you for reading & support! When will the second part? This is AMAZING!!!! Please come back with more. I love Urban Exploration ("Urbex") - This place is a dream come true for Urbex. So sad but so beautiful. Haunting. It's nice to feel the support! I've posted Part Two for you.